SIOUX FALLS, S.D. 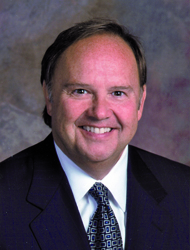 — Last year brought dramatic expansion for Lewis Drug, as it acquired 12 stores in three states. The pickups brought the chain’s store count at the start of 2015 to 46, and more purchases are in the works. In the first half of 2014 the retailer bought a half-dozen independent outlets across Iowa, Minnesota and South Dakota. Over the summer it acquired six-unit Liebe Drug Stores, picking up outlets in Milbank and Wil­mot, S.D., as well as in Appleton, Ortonville, Browns Valley and Graceville, Minn. Lewis now has stores as far as 200 miles from Sioux City, some near the North Dakota border. Regarding the latter acquisition, Lewis anticipated a smooth ownership transition with a continuation of the high service level Liebe provided for more than four decades. 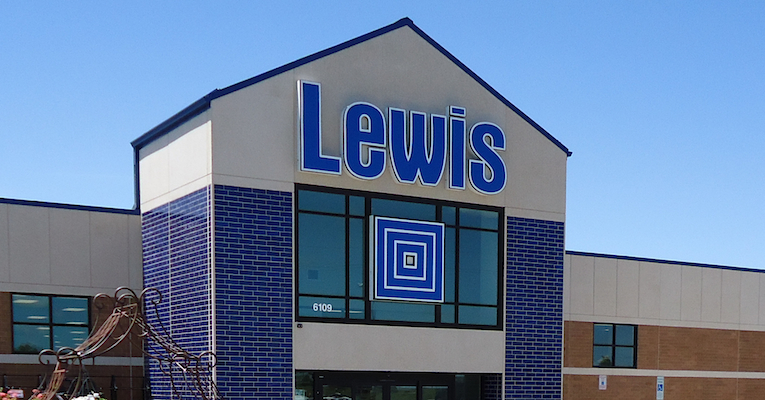 Lewis president and chief executive officer Mark Griffin noted that his company takes pride in its exceptional service and convenience, along with the best selection of competitively priced merchandise. All 12 of the units bought in 2014 are in rural communities and conform to the chain’s smaller Lewis Family Drug format (6,000 to 8,000 square feet). As of late winter, the Liebe outlets had been converted to the Lewis layout, and integration of the latter’s pharmacy system was under way. While such a major expansion could have been a distraction, Lewis overall had another strong year in 2014. The fourth quarter brought a double-digit increase in pharmacy sales and mid-single-digit growth in the front end. Driving the business in the colder weather was the severe flu season. The prevalence of the illness boosted both prescription and over-the-counter drug volume. And with the chain’s larger Lewis Drugs formats, once customers come through the door they are enticed by a broad range of ­merchandise. Among the various categories carried by the retailer, electronics stood out toward the end of the year, as consumers picked up flat-screen TVs, iPods and iPads for gifts and for themselves. “That whole electronics category was energized, so to speak,” says Griffin. As of late February, with winter persisting with extreme temperatures, Lewis was posting strong sales of items from cough/cold remedies to snowblowers priced as high as $1,000. Lewis is able to build the clinics adjacent to and integrated with its pharmacies or go to communities Sanford operates in and establish a relationship there. “It’s a win-win,” Griffin says. The clinics are full medical practices occupying up to 40,000 square feet. Lewis can provide the space for them because it owns the parcels its stores sit on, which can be up to seven acres. Parcels on the fast-growing fringe of Sioux Falls have proven to be especially suitable for clinics for women’s health and pediatrics, because of the area’s attraction for young families. Looking ahead, Griffin is concerned about the effect of narrow networks on the chain’s Medicare Part D business. “If you’re going to be concerned about something in 2015, that’s No. 1,” he says. As to the possibility that the Affordable Care Act will boost business, Griffin says the jury is still out. He recently talked to Sen. John Thune (R., S.D. ), chairman of the Senate Committee on Commerce, Science and Transportation, who told him Republicans in Congress are putting together a task force investigating the possibility of taking pieces out of the ACA to make it more workable. On the charitable front, Lewis donated more than $20,000 in cash and merchandise to assist disaster relief efforts in Canton and Wessington Springs, S.D., and in the Iowa towns of Rock Rapids and Rock Valley. Canton was hit by flooding last year, while a tornado struck Wessington Springs. Rock Rapids and Rock Valley were flooded by the Rock River.